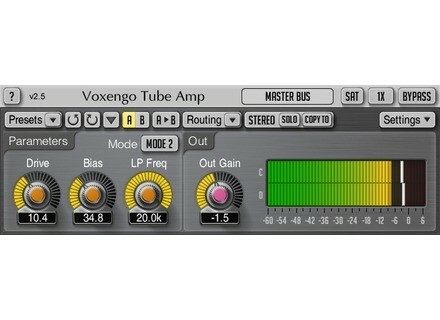 Tube Amp, Software Amp Simulator from Voxengo. “Show All Channel Meters” routing switch added. Tube Amp is available as a freeware effect plugin for Windows and Mac (VST/AU). Visit the Voxengo website for more details.